That evening there will be a talk led by Fr. George V. Coyne, S.J., former director of the Vatican Observatory and head of the observatory's research group at the University of Arizona. The title: "The Dance of the Fertile Universe: A Meeting of Science and Religious Belief." That's at 6 pm, and viewing will follow. Then from 8-10 pm, there will be viewing sessions members of the public blocked out in half-hour segments. Registration is required for both the talk and the viewing sessions. See the link above. Siena's annual Hip-Hop Week returns in March. 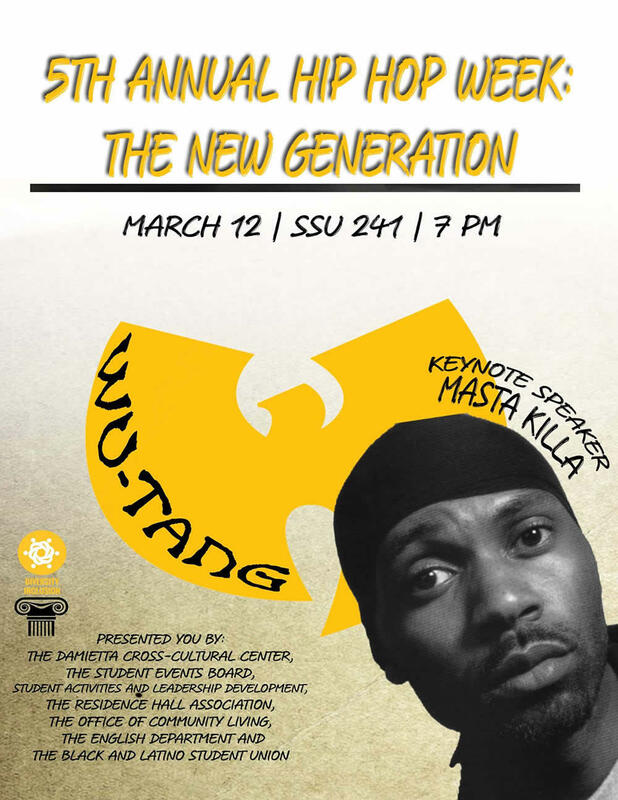 And this year's keynote speaker is Masta Kill from the the Wu-Tang Clan -- he'll be at the Loudonville campus March 12 talking about the group's formation and history, their contributions to hip-hop culture, the music industry, and business. That's still so humbling to me 25 years later, to still be relevant, because if there's no one listening, there is no Wu-Tang. I'm always humbled to be listened to. I'm humbled and thankful that someone was listening. Someone is still wearing that T-shirt and it feels great man. And it has let me know there is still work to do. There's someone out there still hungry for quality, nourishment. Everything that I'm serving over here is vegan, brother. The keynote is Monday, March 12 at 7 pm in the Sarazen Student Union. It's free and open to the public -- first come, first sit. This is fifth year for Siena Hip-Hop Week. The lineup of previous keynote speakers has included Chuck D and MC Sha-Rock. A rendering of the planned observatory. Something to watch for: Siena is building a new observatory that it says will house the area's largest telescope. Work is scheduled to start this summer on the college's Loudonville campus and it's aiming for the telescope to be up and running this fall. 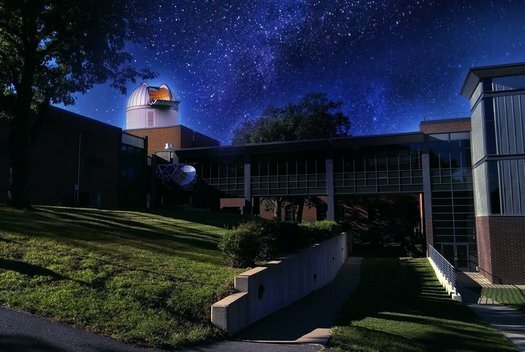 The permanently-mounted telescope will be housed in a 16-foot structure atop Roger Bacon Hall, topped by a rotating dome with a retractable opening. The telescope will feature a 27-inch diameter mirror that can be remotely controlled via the internet. The telescope will allow eyepiece observing of such favorites as the moons of Jupiter and Saturn's rings, and will have sophisticated imaging that will be used to track near-Earth asteroids and to follow the fading light of exploding stars, according to [physics professor] Dr. [Rose] Finn. In addition, a spectrograph will allow for analysis of the chemical composition of stars, nebulae and galaxies. 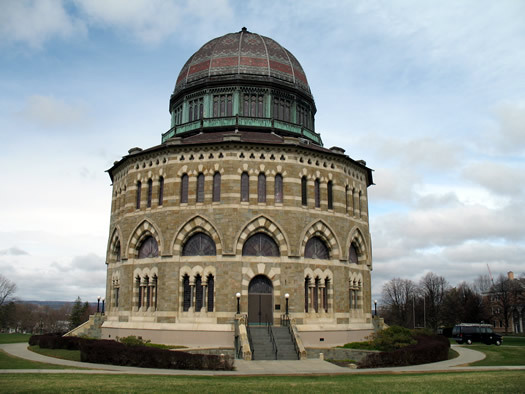 The observatory won't be used by just physics and astrophysics faculty and students - Dr. Finn said that more than 30 percent of Siena students take Introduction to Astronomy as a liberal arts elective, and they will be able to use the telescope as well. Students and faculty will use the observatory for their coursework and research, and public observing sessions will be held throughout the year. Siena got a $467,402 grant for the project from a foundation. 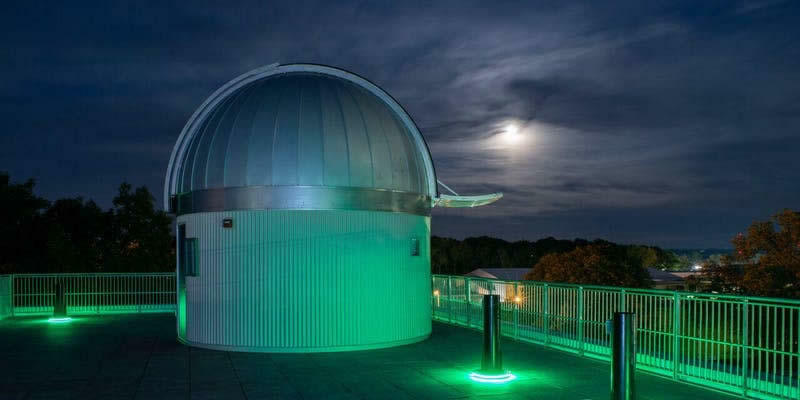 + The Hirsch Observatory at RPI often offers public viewing sessions on Saturday nights. 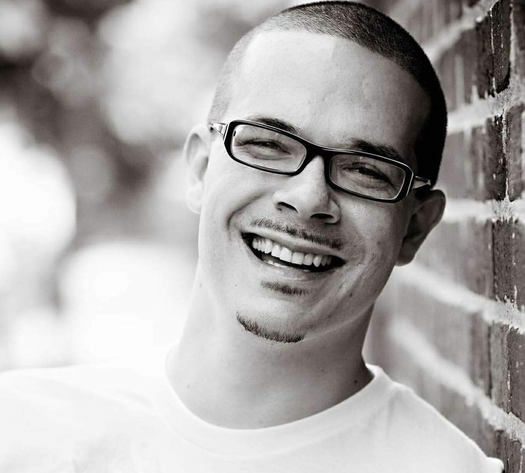 Activist and writer Shaun King is set to appear at Siena March 27 for a talk about the new civil rights movement. The event is free and open to the public. King writes about social justice issues for the New York Daily News, and has amassed a large following on Facebook and Twitter. 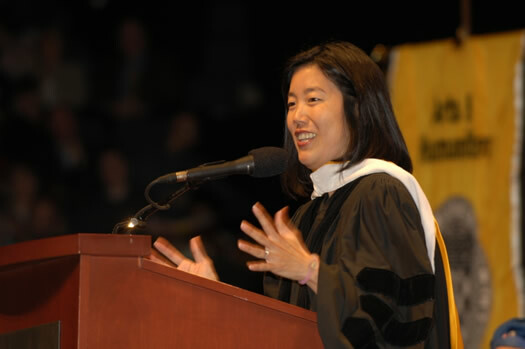 The talk is part of the "Real Talk" series at Siena. It's at 12:30 pm on Monday, March 27 in the Sarazen Student Union. + Hip-Hop Week 2017, March 20-25, featuring a keynote from MC Sha-Roc. + The annual Martin Luther King Jr. and Coretta Scott King Lecture with sociologist Robert Bullard March 28: "Environmental Justice and the Politics of Place: Why Equity Matters"
The annual Hip-Hop Week returns to Siena March 20-25 with a series of events focused on the art, politics, and culture of hip hop. Sha-Rock (our keynote) is the first woman of hip hop. She was a member of the pioneering group The Funky 4 +1 (know for their old school hit "That's the Joint"). She was the first female rapper to appear as a musical guest on SNL & was also featured in films such as "Beat Street" and "Wild Style." She had a huge influence on artists such as Run-DMC and Kurtis Blow. There's a listing of the week's free-and-open-to-the-public events below. This is now the fourth year for Siena's Hip-Hop Week, which has included talks by Grandmaster Flash and Chuck D in previous years. It's sponsored by the Damietta Cross-Cultural Center at Siena. 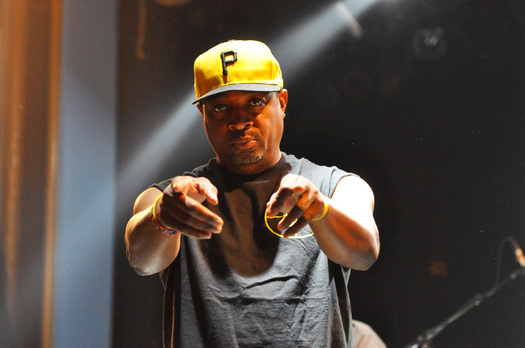 Hip hop titan Chuck D will be at Siena April 4 for a talk. The event is free and open to the public. Chuck D is, of course, a founder of Public Enemy. In the years since founding the group, he's also been a political activist, writer, producer, radio host, and collaborator with all sorts of artists. 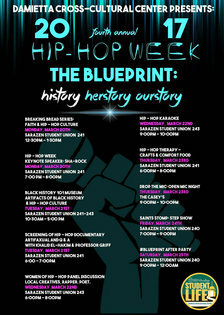 His talk at Siena will be the keynote lecture for the college's annual Hip Hop Week. He'll also be talking with students in a course called "Rhetoric(s) of Hip-Hop Culture," which is taught by Todd Snyder, an assistant professor of English. The lecture on April 4 is in the Sarazen Student Union. It starts at 7:30 pm (doors at 7 pm). There will be no ticketing, so it's first come, first sit. The founder of the Harlem Children's Zone, Geoffrey Canada, will be at Siena this Thursday for the college's annual King Lecture on Race and Nonviolent Social Change. Canada's talk is titled "The Crisis Facing Youth: What Adults & Communities Can Do to Save Our Children." The Harlem Children's Zone is, in its own description, aimed at "disrupting the cycle of generational poverty in Central Harlem through our innovative and effective programs." Toward that end it's attempting to provide comprehensive family, social service, educational, and health services to kids in a roughly 100-block area of Harlem. 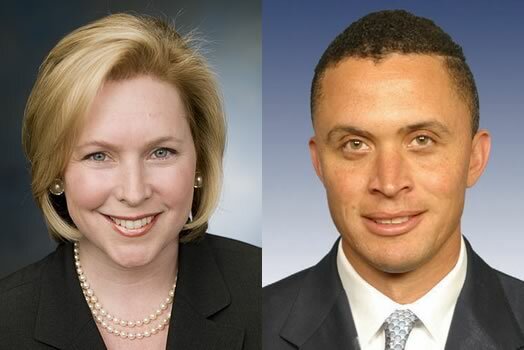 In recent years the program has gotten the support of the Obama administration, which has touted the program as a model to replicate. 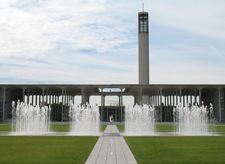 And the HCZ has been one of the inspirations for the Albany Promise program. The Canada talk is at 7 pm, Thursday, March 26 in Siena's Marcelle Athletic Complex. It's free and open to the public. Check out this goal scored by Cassy Landis for Siena against Canisius Wednesday -- her back to the goal, the ball volleyed overhead and then into the net after a wicked bounce past the keeper. (We'd give her credit just for trying it.) Even better: It was in overtime and won the game for the Saints 1-0. Because of the wide angle of the shot, it's a little hard see -- so definitely watch it in full screen in HD. 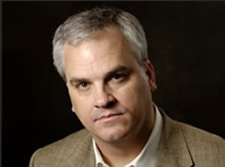 Pulitzer Prize winning author Douglas Blackmon will be at Siena Thursday evening for a lecture titled titled "Civil Rights and the Continuing Impact of Slavery in the 21st Century." Blackmon won the Pulitzer for the book Slavery by Another Name: The Re-Enslavement of Black Americans from the Civil War to World War II -- which was turned into a PBS doc with the same title. Blackmon has written extensively over the past 25 years about the American quandary of race-exploring the integration of schools during his childhood in a Mississippi Delta farm town, lost episodes of the Civil Rights movement, and, repeatedly, the dilemma of how a contemporary society should grapple with a troubled past. Many of his stories in The Wall Street Journal explored the interplay of wealth, corporate conduct, the American judicial system, and racial segregation. Maybe you saw Blackmon when he at UAlbany a few years back for a NYS Writers Institute event with UAlbany professor Sheila Curran to talk about the production of the PBS version of Slavery by Another Name. 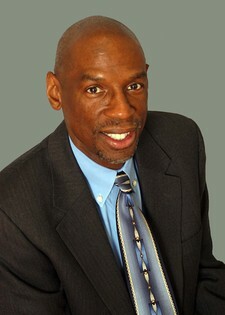 Blackmon's appearance this time is part of The Martin Luther King Jr. and Coretta Scott King Lecture series at Siena. The talk starts at 7 pm Thursday, April 3 in the Marcelle Athletic Complex. It's free and open to the public, no tickets required. "I've always envied this job and wanted this job." 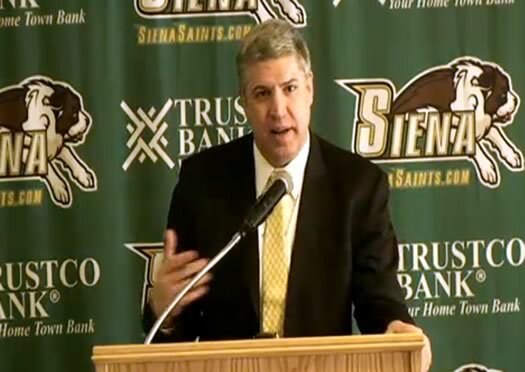 Siena officially named Jimmy Patsos as its new men's head basketball coach Wednesday afternoon. And the Capital Region just got a new, big character. Patsos is moving to Siena from Loyola (Maryland), where he was 145-135 in nine seasons. (The Greyounds are in the same conference as Siena, but they're moving to the Patriot League next season.) But when he took over the program, it had gone 1-27 the season before. Over the two most recent seasons the Greyhounds were 47-21, with a trip to the NCAA tournament in 2012. Accompanying that track record is the sonic boom of his personality and reputation. "God knows how many hairs are on your head!" But I am able to rest easy knowing how Father Dan took the news. He was the priest who was tasked with hearing confessions the day I nervously knelt down in the Siena College chapel. "Bless me, Father, for I have sinned," I began, as usual. I started with a few minor transgressions: "I lied to a friend. I broke my teammates' earbuds. I cheated on a calculus exam. And I'm gay." I started crying. Father Dan, who also happened to be my World History professor, put his hand on my shoulder. He asked me if I was telling him that because I thought it was a sin. And then he quoted a Bible verse. "Don't be afraid," he told me softly. "Indeed, the very hairs of your head are all numbered. Do you know what that means, Mary? God knows how many hairs are on your head! God knows everything about you. He created you. Don't be afraid." The Siena and UAlbany men's basketball teams released their non-conference schedules this week. And both schools have lined up some quality, big name competition. Also: The Siena-UAlbany game will be December 4 at the TU Center. The Princeton Review released its annual college rankings this week (party schools, reefer madness, etc). Siena made a good effort against Purdue, but the Boilermakers were just too tough. The Saints led at halftime 32-29. Then the Boilermakers seriously clamped down on defense to start the second half, which helped them go on a 13-0 run. It looked like Siena was wilting, but the Saints pulled it together in the last five minutes to go on a 12-0 run. It just wasn't enough. Purdue hit its foul shots down the stretch and Siena ran out of time. 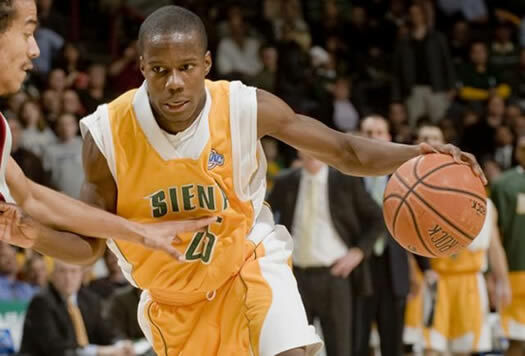 Edwin Ubiles led Siena with 18. Ronald Moore had 14 (3 assists, 4 turnovers), Alex Franklin had 10 (all in the first half). Clarence Jackson, a game-time decision because of a bad ankle, did not play. Box score. It was still a great season for Siena. The Saints were 27-7 overall and they dominated the MAAC with a 17-1 record. As you would expect, Siena is trying to make the most of Fallon's support. Michelle Kim reports the school sent down a whole truckload of Saints swag to the show yesterday. A lot of small schools see college basketball -- and the NCAA tournament especially -- as a way to market themselves to wider audiences. Xavier University in Cincinnati -- a school similar to Siena (smaller, Catholic) -- has apparently had success with this approach. As Paul Daugherty wrote for SI.com last fall, Xavier has used its basketball program as "a coast-to-coast billboard to attract students and money" (while seemingly not sacrificing academics). Of course, you don't get the attention if you don't win. 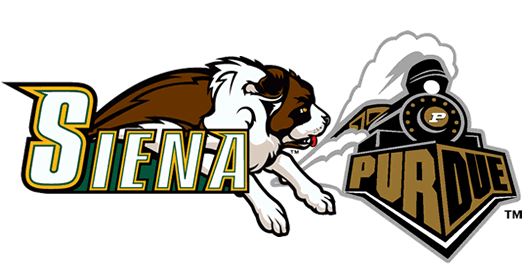 Siena takes on Purdue in the first round of the NCAA tournament Friday afternoon (it's a 2:30 pm scheduled tip off). Siena is a #13 seed and Purdue a #4, so it might seem that Boilermakers have this in hand. But the #1 and #2 seeds probably aside, no team in safe in the NCAA tournament. Example: #13 seed Murray State knocked off #4 seed Vanderbilt on Thursday in the West bracket. 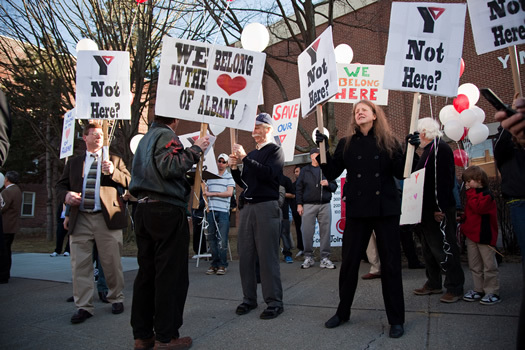 From yesterday's Save the Y rally -- here's a photoset from Sebastien B. The NCAA basketball tournament brackets were released Sunday evening -- and Siena is headed west. Way west. The Saints got the #13 seed in the South bracket (they were a #9 seed last year). They'll face #4 seed Purdue on Friday in Spokane, Washington. Purdue is 27-5 this season -- and shared the regular season title in the Big Ten. The Boilermakers had been in the running for a top seed until Robbie Hummel, probably their best player, hurt his knee at the end of February. (He's out for the season.) They haven't looked so great since. What about Syracuse? The Orange got the #1 seed in the West bracket. They'll face #16 seed Vermont on Friday in Buffalo. Yep, Vermont. Payback is in order. Ronald Moore and the Saints are playing their third-straight NCAA tournament spot. The whole season for the Siena's men's basketball team has been pointing to tonight's MAAC tournament championship game. With a win, the Saints are headed to the NCAA tournament. This year's team is one of the best ever at Siena. It features the conference player of the year (Alex Franklin), along with two other first-teamers (Ronald Moore and Ryan Rossiter), a second-teamer (Edwin Ubiles) and a third-teamer (Clarence Jackson). The Saints only lost one game during conference play. Moore continues to lead Division 1 in assists/game. And the Saints have won 37 straight games at the TU Center. Siena faces Fairfield, the MAAC tournament's #2 seed, tonight. The Saints have already beaten the Stags twice -- 81-73 at Fairfield and 69-67 at the TU Center in early February. The game starts at 7 pm. It's on ESPN2. "Undersized" -- but he's a big-time player. Siena point guard Ronald Moore got some well-deserved national attention yesterday in a NYT profile. The piece has some interesting bits -- about how Siena was able to land Moore; and what he said to Rick Pitino during last year's second round game in the NCAA tournament. Moore is a remarkable player in that he may very well be the MVP of this year's excellent Saints team -- and yet he's only their fifth leading scorer. But he contributes in other ways. Moore leads the nation in assists per game -- he also controls the tempo of the game and keeps teams from pressuring the Saints. As Ed pointed out recently, Siena is having a great season -- even by the standards of the last few years. It has a 14 game win streak going, most recently an 88-68 victory over Iona -- the second-place team in the MAAC. The Saints continue to get votes in the AP Top 25 poll. And they'll take on #18 Butler in the showcase "Bracket Buster" game on ESPN later this month. Siena faces Fairfield tonight at the TU Center at 7 pm. The game will also be on MSG (ch 73). How we missed this, we do not know: Siena's men's basketball team has a player named Just-In'Love Smith. Name aside, Smith is not a typical college basketball player. He's 26 and has already served four years in the military -- one of those in Iraq. Smith has appeared in three games for the Saints this season (for six minutes) and has scored 4 points. By the way: after having a rough time with its non-conference schedule, Siena has been ripping up the MAAC. The Saints are 8-0 in conference. They're next at against Loyola tomorrow night. 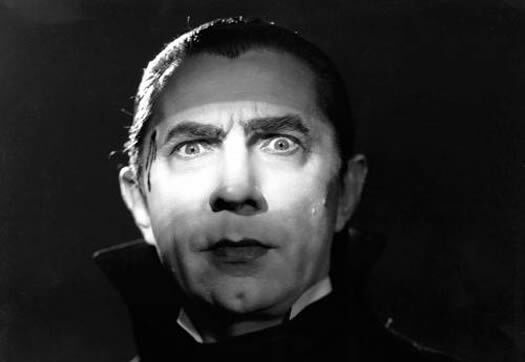 A while ago I heard a rumor that Siena College had its very own vampire expert. Obviously I needed to look into that. So I picked up some garlic and a stake and went to check it out. The Siena Research Institute released an interesting poll today, a Capital Region "survey of social needs." The poll was intended to gauge how people in the Capital Region perceive the importance/severity of a bunch of social problems. For example, the poll asked, "In general do you think the overall quality of life for most people in the Capital region has improved, stayed about the same or gotten worse over the last year?" Fifty-one percent of the respondents said things had "gotten worse." The Siena/UAlbany basketball game is this Saturday. It's probably the biggest sporting event of the year in the Capital Region, aside from the Travers. Pete Iorizzo reports that a bunch of tickets have already been sold -- and the total could top 14,000. Both teams are coming off losses in the south. Siena fell 74-61 to Georgia Tech in Atlanta this past Wednesday. UAlbany lost at Florida Atlantic 81-65. Siena, which has been a favorite of hoops pundits this year, would seem to have the clear the advantage in this game. But the Saints might not have Edwin Ubilies (that's him on the right) in the lineup -- he's one of their best players. Tip-off time for the men's game is 7:30 pm at the TU Center. Robert Lee and Tom Huerter will have the call on Talk 1300. Also: Pearl Street will be closed from 3-10 pm from Beaver St to Hudson for the game (that's the block right in front of the TU Center). The Siena men's basketball team opens its regular season tonight on the road at Tennessee State (in Nashville). This could be a big year for the Saints. They return four starters from last year's team, which reached the second round of the NCAA tournament (for the second straight year). They were the #1 team in the MAAC pre-season poll, with two players on the conference first team. And the Saints have been so good over the last few years that "major" schools are now reluctant to play them. You can catch the play-by-play of tonight's game on Talk 1300 at 7 pm, pre-game at 6 pm. (The TU had a Q&A today with Robert Lee, the Saints play-by-play announcer.) And the Recovery Room in Troy will be showing a live video feed from the game. Who's afraid of the Saints? Saints coach Fran McCaffery has won two straight NCAA first-round games against Vanderbilt and Ohio State. So, of course, he would have no problem securing more big-time nonconference games, right? Wrong. Even though the Saints are exactly the team a "big six" conference foe should play, they struggled throughout the offseason to get games. But the Saints return leading scorer Edwin Ubiles and sharpshooter Ronald Moore and that's enough to scare most opponents away from scheduling them. In the weird calculus of college basketball, a loss or close win against a good "mid-major" team such as Siena is somehow much worse than absolutely dominating a cream puff. So it goes. The Saints will have just have to save their giant killing for March. By the way: Katz has Siena in his pre-season Top 25 at #20. Siena opens its season November 13 on the road at Tennessee State (see the part about big-name schools above).